Geoffrey Chaucer's House of Fame has rightly been read as an ironic response to Dante's Commedia. Chaucer's narrator carries out his dream-journey in realms far from Dante's spiritual geographies: the mural-filled Temple of Venus, the lavishly adorned Palace of the Goddess Fame, and the turbulent, noisy House of Rumour. Chaucer also playfully responds to Dantean motifs with Book Two's eagle-turned-magister, who lectures his passenger, Geffrey, on the properties of sound and language en route to the Palace of Fame. In the end Chaucer's dream vision, with its exploration of the problematics of knowing and the limitations of language, seems to challenge many of the foundational truths of Dante's Commedia. Yet there is a larger story to tell. 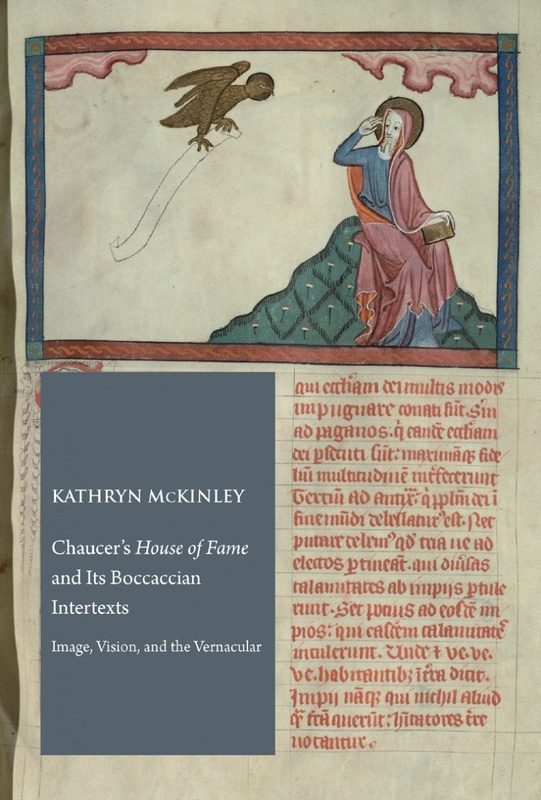 This study considers how Chaucer's poem engages Boccaccio's writings as much as Dante's. Chaucer's trips to Italy profoundly changed his understanding of poetry, the vernacular, and literary history. 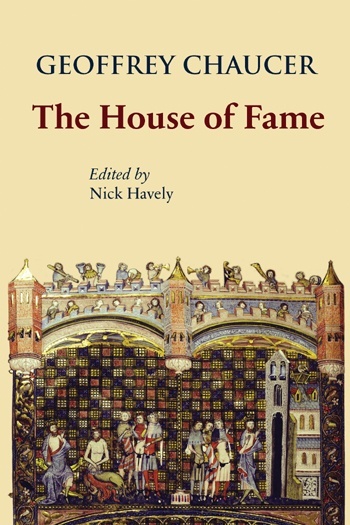 The House of Fame, written upon his return, bears the imprint of Dantean imagery and reflects Dante's own passionate commitment to the use of the vernacular. But Chaucer, who translated and adapted Boccaccio's Teseida and Il Filostrato, also deeply engaged the terza rima allegory, the Amorosa visione (c. 1342–3), with its extensive visual poetics of ekphrasis. Itself written as a secularizing love poem, in deeply problematic dialogue with Dante's Commedia, the Amorosa visione forms a central place in Boccaccio's, and later Chaucer's, agonistic relationship with the legacy of Dante. 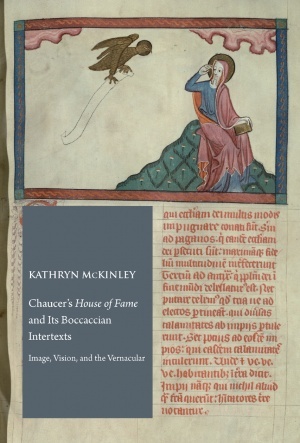 Chaucer's “House of Fame” and Its Boccaccian Intertexts addresses in new ways this broader triangular relationship between Dante, Boccaccio, and Chaucer. Boccaccio's Amorosa visione gave Chaucer a viable model for a response to Dante's theocentric poetics. It valorized earthly love, the vernacular, and the legends of the ancient past even as it over and over again raised the question of indeterminacy. Kathryn McKinley, Associate Professor of English at the University of Maryland, Baltimore County, received her MA in Classics from the University of Toronto, and her doctorate in English from the University of Delaware. Her research and teaching interests include medieval Latin, Ovid, and Chaucer, and extend to the materiality of devotional practices in late medieval England, agency in medieval art, and the relation between art and pilgrimage. She is the author of Reading the Ovidian Heroine: “Metamorphoses” Commentaries, 1100–1618 (Leiden, 2001) and co-editor, with James G. Clark and Frank T. Coulson, of Ovid in the Middle Ages (Cambridge, 2011). Her articles have appeared in Chaucer Review, Viator, and English Manuscript Studies, 1100–1700.